And yes I do have a multimeter however it's not a very good one Maybe easier for you to buy the harness pictured by jiz rather than messing about chopping wires! In your case the yellow wire has a green tracer, meaning it is the earth for the stereo. I have ordered two new leads but I have to wire them my self so it's good to know. Do other plugs work in it? I'll get you a wiring diagram tomorrow. This i suspect is the problem and why you can't keep memory. The two grey wires are your power feeds. This i suspect is the problem and why you can't keep memory. Do other plugs work in it? I fitted a stereo for my mate on his 206 using factory harness direct to stereo and he had to turn stereo on and off manually all the time and got pissed off with it! Do you have a multimeter? A stereo needs two feeds to remember stations and turn on with the key. Do you have a multimeter? For the sake of a couple of quid I'd personally invest in the harness and that way it's neat and tidy too! I'm surprised that no fuse has blown if you have lost your cig lighter as well. I have had a look and can see the yellow one but no red one there is a thick gray on and a thin gray one could of of these be the red one that Isn't red. 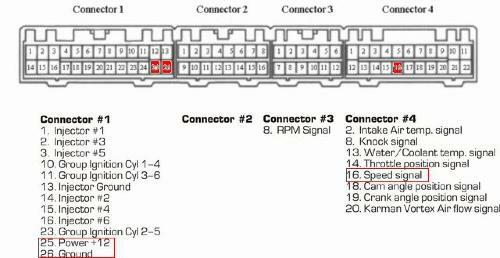 A stereo needs two feeds to remember stations and turn on with the key. In your case the yellow wire has a green tracer, meaning it is the earth for the stereo. The other wire should be your permanent live. I'll get you a wiring diagram tomorrow. Wiring colours differentiate between manufacturers, and it's often the case that the common red and yellow power wires are different colours. The other wire should be your permanent live. Sent from my iPhone using Tapatalk Wiring colours differentiate between manufacturers, and it's often the case that the common red and yellow power wires are different colours. If not it could be a fuse or faulty unit. Do other plugs work in it? 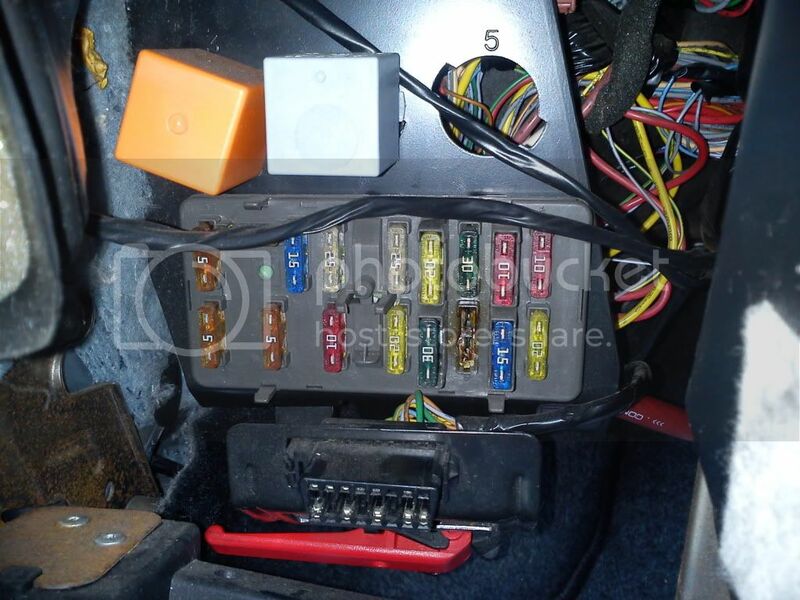 The thinner of the two wires will be your ignition feed, turning the stereo on with the key.
. If this is any help this is a picture of the back of my new radio. Maybe easier for you to buy the harness pictured by jiz rather than messing about chopping wires! For the sake of a couple of quid I'd personally invest in the harness and that way it's neat and tidy too! No I have two blocks the one is the previous picture and the speaker one that you can see pushed down. The thinner of the two wires will be your ignition feed, turning the stereo on with the key. I'm surprised that no fuse has blown if you have lost your cig lighter as well. I fitted a stereo for my mate on his 206 using factory harness direct to stereo and he had to turn stereo on and off manually all the time and got pissed off with it! If not it could be a fuse or faulty unit. S just been out and I have no idea about the cig lighter the fuse isn't blown however if I can get my radio working I'm not to bothered about that. Right ok that would explain why there is a thick and thin gray. The two grey wires are your power feeds. If not it could be a fuse or faulty unit. . .